What is an arts supplement? An arts supplement is a portfolio that demonstrates your proficiency and range within an area in the fine arts. 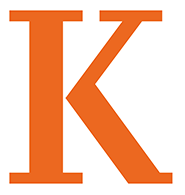 Kalamazoo College accepts arts supplements in the fields of visual arts and creative writing. Note: Those interested in music and theatre (performing and technical) are encouraged to submit Enlightened Leadership Award scholarship applications. Why should I submit an arts supplement? We want to learn about the achievements and talents that you will bring to campus. If you have developed as an artist during your high school experience, we want to know about it! Submitting an arts supplement can positively affect your admission decision. Should I submit an arts supplement even if I do not want to major in fine arts? An arts supplement submission does not commit you to major, minor, or otherwise participate in the fine arts; however, it is a great way for you to introduce yourself to our fine arts faculty, who would enjoy the opportunity to work with you as an artist and a student. When should I submit my arts supplement? Your completed arts supplement is due by the same deadline as the admission program under which you choose to submit your application for admission. You can find those deadlines on our How to Apply page. How do I submit my arts supplement? SlideRoom requires a $5 fee to submit a portfolio; if you are eligible for a Common Application fee waiver, please contact either Marcus Johnson or the admission records office to waive the fee for your submission. How does Kalamazoo College evaluate arts supplements during the admission process? After each application deadline, the Office of Admission forwards arts supplement materials to arts faculty, who review submissions in their respective category. The Office of Admission incorporates the faculty evaluations into the review of your entire application, which can have a positive impact on your admission decision. What should I include in my arts supplement? Follow the discipline-specific links below for details on the content of your arts supplement. NOTE: Kalamazoo College does not review dance supplements. Note: Students interested in music and theatre arts (performance and technical) are encouraged to submit scholarship applications; find additional information here.